Are you searching for quick answers to your questions? We have the best solutions for effective garage door repair. 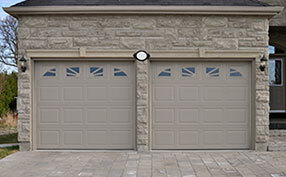 Solutions to garage door problems are not that common, so you would do well by learning from the experience of others. Our FAQ page has collated the most popular and pressing queries, resolved by our first class experts through detailed and concise explanation. Click now and learn from the best in the field. If you have a new opener, you are lucky because the backup battery system will keep the system working for a few hours. Otherwise, Garage Door Repair Garland suggests that you use the emergency release cord and open the door manually. What is the best season to paint the garage door? 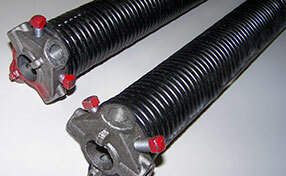 Spring till early autumn is the best season for all tasks related to your garage door. It must be a nice sunny day without winds and storms messing up with your work. Hence, it's always prudent to hear the weather predictions beforehand. Which type of garage door opener is best for me? The answer to this question generally depends on the situation and on the type of wooden garage door. For instance, as Garage Door Repair Garland professionals say, a metal door is typically able to work with different types of openers. However, if you have a wooden door, you need to have a chain drive type opener for better performance. Are there differences between glass doors? The differences will be limited to the type of door, the choice of glass panel and frames. 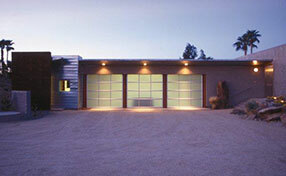 The experts of our service provider in Garland say that glass doors may be overhead, sectional doors or any other type. You also have a say in the selection of the glass since you're not restricted to get clear glass but you can also choose milk glass. You can install wood or aluminum frames in different shades as well. My opener is running, but the door isn’t moving. What do I do? This means that the door may have been disengaged from the opener. Check the emergency release cord to see if it has been pulled somehow. If it is the release cord’s fault, then re-engage the opener. What is the right way to paint a steel door? Steel doors can be painted in any color by using the right techniques. First wash the door with tri sodium phosphate and then rinse. Allow the door to dry completely. Choose a top quality latex paint as they are the best for such doors. What is a smart drive and why would I need one? Openers with a smart drive can be activated from your smart phone. They can be activated from anywhere with an internet connection, which takes distance and line of sight out of the equation. Many smart openers will allow all you to trace when and how often your door is used throughout the day.